No one wants to find him or herself in a position where they are always replacing their air conditioning unit. Seasonal checkups will help preserve the life of the unit and keep your warranty valid. Sometimes, manufacturers will void a warranty if the equipment has not been receiving yearly maintenance. It is important to remember that when you have routine maintenance, it will help catch the little issues before they turn into big problems. You will have the peace of mind in knowing that you will not be without the cool air you are counting on when the temperature outside has hit an all-time high. If you do find that you need to replace your air conditioner, you want to make certain that you are contacting some of the best professionals in the business. If you live in the state of Texas, you can have great comfort in knowing that you will receive service from some of the best AC installation in Houston. Air conditioning companies already know that homeowners like to take the necessary precaution of whom they are allowing to come on their property and into their home. With that said, when the air conditioner installation companies in Houston send technicians to a customer’s home, they are aware of the concerns their customers have with strangers working in and around their residence. This is why these companies are taking the time to make certain that the technicians have received a thorough background check, and receive frequent and ongoing drug testing. It is important that the safety and concerns of the customers are protected. With that said, the technicians are also licensed and trained and ready to service all requests regarding any of your air conditioning needs. When you decide to purchase your new air conditioner from one of the best AC installation in Houston you will find that you are able to get up-front pricing without having to be surprised by unsuspecting hidden fees. These professional technicians are able to tell you the price of the job before they begin working so that you will be aware of what your options are and will be in a better position to make a financial decision. 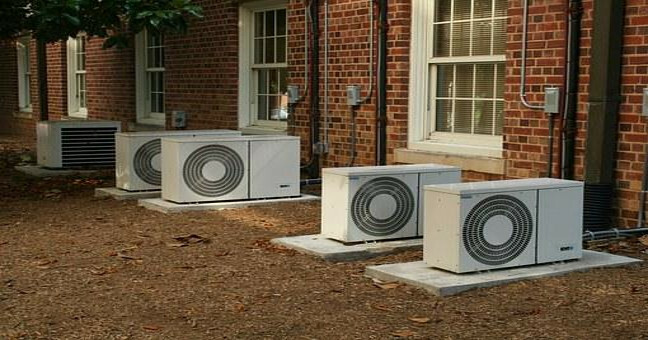 When they arrive at your home, you will be greeted by professional uniformed experts that are courteous and attentive to all of your concerns regarding the installation of your unit. These professional technicians will be able to outfit your home or business with a new air conditioner that will not only fit your budget but it will also provide the right amount of BTU’s for your environment. However, it would be wise if you took out some time to research and educate yourself on the different types of units that are available so that you are more knowledgeable when it comes time to make your purchase. Businesses and homeowners alike that are in Houston understand that it is second nature for them to purchase air conditioners for their place of business and for their residential environment because of the kind of climate that they live in. And it is for that reason why it is best that they spend the extra money and purchase a maintenance agreement. Even though it may cost a couple of hundred dollars more, it will be worth it in the later years if the air conditioner has to be repaired. Therefore, it makes sense to protect your investment. It is more than likely that the maintenance plan will also include regular check-ups during the life cycle of the unit. So if you are looking to purchase a new air conditioning unit, then you will want to contact one of the best professional installers in the city of Houston.